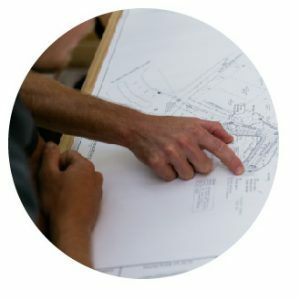 SERVICES our extensive combined experience allows us to directly identify problems early. A healthy fish population in a lake, pond, or stormwater pond, can help provide insect control, recreational fishing opportunities, and overall ecosystem balance. 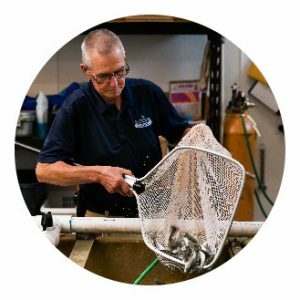 Our experienced Fisheries Biologists will help you define a customized management objective and then take your project from beginning to end. Whether you want a simple self-sustaining fishery or Trophy Largemouth Bass, proper planning is key. Foster Lake & Pond Management only sells fish that are at least 2 inches or longer. These fingerling fish have already learned to feed on their own, resulting in almost 100% survival. Higher quality fish insures that you will have many years of productive fishing. Stocking decisions should be based on your objectives and the level of management you expect to use. Many options exist. 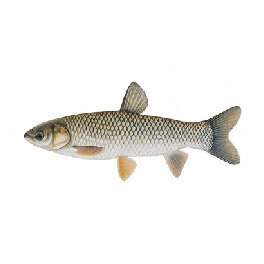 Sterile grass carp can be extremely effective aquatic weed and algae control tools. Many people enjoy a few hybrid striped bass stocked into private ponds for trophy fishing or to control overcrowded small fish. Fathead minnows are excellent forage for predatory fish. Consult with one of our staff biologists for a quality stocking recommendation. If you’re building a new pond, or currently have a balanced population, several steps can be taken to avoid problems. DO NOT add additional wild fish or fish from someone else’s pond. Wild fish from streams or other ponds may not be genetically pure and may carry diseases or parasites. Remember, you want a fish balance, which will allow you to achieve your objectives for the pond. The fish you stock are a long-term investment. Don’t make a mistake that could haunt you for years; stock fingerlings from a reputable source. We guarantee our fish are healthy or we will replace the fish or give you your money back. Small fingerlings are less costly and are usually stocked into new or renovated ponds. They may not produce harvestable fish for 1-3 years. Large “advanced” fingerlings are sometimes available which provide essentially instant fishing, but the cost is higher. Larger, “advanced” fingerlings are often desirable for adding to ponds with established fish populations. All species of fish may be stocked at the same time if balanced numbers and similar sizes are stocked. Budget, objectives and length of time before you can begin catching fish must be considered before deciding upon size of fingerlings to purchase. In new ponds the initial stocking is very important. 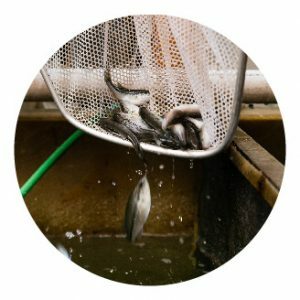 The stocking rate is determined by the water supply, pond fertility, whether supplemental feed will be provided and by the objectives you chose. In the chart below, the high stocking level is appropriate for a pond built in fertile soil, which maintains its water level during droughts and receives pelleted fish feed 5 – 6 times per week or is fertilized regularly. The low stocking level is for a clear-water pond rarely fished or lakes over 10 acres. The moderate rate is appropriate in most circumstances. Electrofishing surveys allow us to create a “snapshot” or data baseline of your existing population in order to make informed management decisions. This specialized equipment sends pulses of direct current into the water. This procedure stuns the fish that are swimming in the electrical field around the boat. We can then collect, weigh and measure large numbers of fish without harming them. This data provides us with important information including population density, species diversity, fish health, and Relative Weight. Water quality information, habitat, and depth surveys can also be collected at the same time. These factors are all used to create a customized management strategy. Some lake and pond owners want large numbers of “trophy” fish. Customized management plans to achieve these goals are now available. We use cutting edge technologies along with aggressive fisheries management techniques to produce amazing results. Whether your focus is largemouth bass, bream, catfish, crappie, or hybrid striped bass, FLPM has a management program to fit your needs. Largemouth Bass are the top predatory gamefish in a lake or pond. Largemouth bass typically are fast growing (up to 1.5 pounds per year) and excellent to catch on a rod and reel (hence their gamefish classification. These fish are critical to many lakes and ponds in order to maintain a proper balance or ratio of predator and prey. Bluegill can grow up to approximately 12 inches long and about 4 1/2 pounds. They typically are an excellent food source for largemouth bass; are fun to catch and make good table fare. Bluegill should generally be stocked if “catch and release” largemouth bass fishing is the priority. Fathead minnows should be stocked with hybrid bluegill to provide bass with sufficient forage. Channel Catfish are a bonus in a pond. They increase the productivity of a pond and do not compete with the other fish. You can put as few as you like or as many as you want as long as they will have adequate food. They can be stocked anytime. Channel catfish do not usually reproduce in ponds unless spawning containers are provided. Ponds less than 1/2 acre in surface area are difficult to keep balanced with bass and bream. Small ponds are much easier to maintain and usually more enjoyable if stocked with only channel catfish. They will grow fast and provide plenty of fun and food with a minimum of work. You can stock about 500 fish per acre if you don’t feed them and 1,500 – 2,000 per acre if you do feed them. You may also stock just hybrid bluegill and a few bass if you don’t want channel catfish. About 10 largemouth bass per acre will control the limited reproduction by hybrid bluegill and enable the fish to get big faster. Sterile grass carp are incredibly effective for controlling most aquatic vegetation. They consume up to 3 times their body weight in vegetation per day and may grow up to 5 pounds per year. In North Carolina only sterile grass carp are allowed. We have found that if you stock 20 grass carp per vegetated acre of pond, you can expect control by the end of the second year. Our customers have been amazed at the effectiveness of the grass carp. They control duckweed, watermeal, moss, submerged weeds, and even eat grass clippings. They may not be effective for controlling pennywort, lilypads, and tough woody vegetation. They are relatively expensive, but are usually the least expensive long term solution for aquatic weed control. Large fish, over 8 inches long, are usually stocked to prevent them from being eaten by large bass in the pond.